Seowave Offers Complete IT Solutions- Seo/Smo, Web Development, App Development,E-Commerce. We Follow Proper SDLC Approach And Google Guidelines To Provide Quality Result For Our Clients Around The World. Our Process involves the strategic alteration and customization of every aspect of a web page, including its URLs to its content which naturally drive customers and their business in your direction. Invest your dollars with high quality traffic with our PPC campaigns. Our experts will generate best ROI as per your budget ensuring utmost growth. In this digital era, people spend more time on phone in searching things on internet and searching apps. Just like Search Engine Optimization (SEO), there is app store optimization for mobile apps. We focus on improving the visibility of a app in an app store, Google Play , Windows Store and BlackBerry World by following strategic methodologies. SEOWave Solutions believe in targeting best way to challenge your opponent, which will catch more customers. 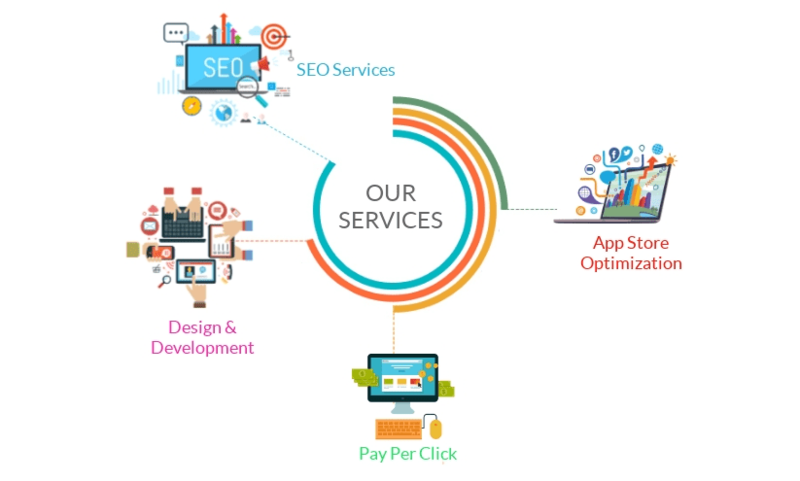 We are trusted SEO/SMO Company in Dubai, has experienced professionals who do deep research analysis as search engines keep on updating algorithms and we top the charts in updating our employees to provide best results, which makes your business unique and top in results . We have team of senior business analysts who make every bond on legal papers under proper security & providing quality and data protection assurance. We are SEOWave Solutions. Our social media experts can help you establish your business objectives, identify your target audience, create engaging and share-worthy content and finally integrate your social media with all other aspects of your online presence. Presently we have a team of experienced and skilled professionals. We offer in house development following proper SDLC approach and Agile method to provide quality result. Our Business Analysts team continuously monitors the development of project and keeps on updating clients. We believe in making long term relationships.If you are searching for website developer in dubai/ecommerce web design dubai/ecommerce website development dubai/web development abu dhabi then this is the best website for you. To be honest in this ever changing world clients have different requirement, different strategy and different time to market requirement and thus our strategy changes as well. Wireframes are simple block diagrams that show the placement of elements in a user interface and demonstrate the intended layout and functionality of a solution. Our team of business analysts and subject matter experts will dive in deep to analyze the requirement and will have interactive sessions with you. After the user stories and wireframes are created it is shared with the designers for bringing life to them. Testing actually happens again according to the feedback for the design and development, test cases are created based on the strategic plan. Reactions to a product, a person’s performance of a task, etc. which is used as a basis for improvement. The review and testing actually happens at each stage of the design and development. Test cases are created based on the strategic plan. The coding magic happens here when our senior architects and programmers work together on suitable framework, database and programming language. Once we get the signal from you we do the deployment and your product goes live, we work for you for the deployment and launch so you can focus on the other.